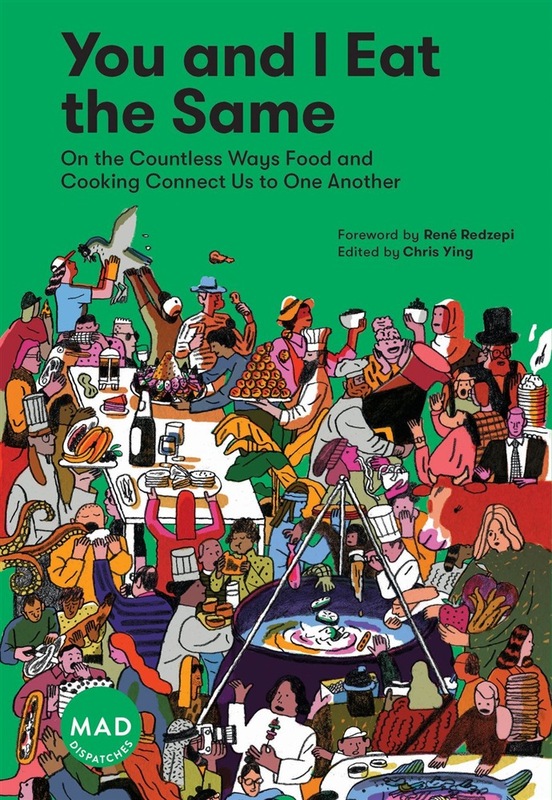 Named one of the Best Food Books of the Year by The New Yorker, Smithsonian, The Boston Globe, The Guardian, and more 2019 IACP Award Finalist MAD Dispatches: Furthering Our Ideas About Food Good food is the common ground shared by all of us, and immigration is fundamental to good food. 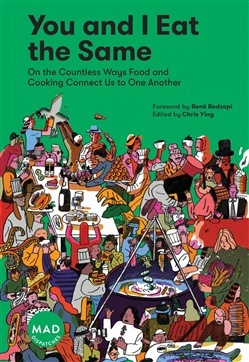 In nineteen thoughtful and engaging essays and stories, You and I Eat the Same explores the ways in which cooking and eating connect us across cultural and political borders, making the case that we should think about cuisine as a collective human effort in which we all benefit from the movement of people, ingredients, and ideas. An awful lot of attention is paid to the differences and distinctions between us, especially when it comes to food. But the truth is that food is that rare thing that connects all people, slipping past real and imaginary barriers to unify humanity through deliciousness. Don’t believe it? Read on to discover more about the subtle (and not so subtle) bonds created by the ways we eat. Everybody Wraps Meat in Flatbread: From tacos to dosas to pancakes, bundling meat in an edible wrapper is a global practice. Much Depends on How You Hold Your Fork: A visit with cultural historian Margaret Visser reveals that there are more similarities between cannibalism and haute cuisine than you might think. Fried Chicken Is Common Ground: We all share the pleasure of eating crunchy fried birds. Shouldn’t we share the implications as well? If It Does Well Here, It Belongs Here: Chef René Redzepi champions the culinary value of leaving your comfort zone. There Is No Such Thing as a Nonethnic Restaurant: Exploring the American fascination with “ethnic” restaurants (and whether a nonethnic cuisine even exists). Coffee Saves Lives: Arthur Karuletwa recounts the remarkable path he took from Rwanda to Seattle and back again. Acquista You and I Eat the Same in Epub: dopo aver letto l’ebook You and I Eat the Same di M.A.D., Chris Ying, René Redzepi ti invitiamo a lasciarci una Recensione qui sotto: sarà utile agli utenti che non abbiano ancora letto questo libro e che vogliano avere delle opinioni altrui. L’opinione su di un libro è molto soggettiva e per questo leggere eventuali recensioni negative non ci dovrà frenare dall’acquisto, anzi dovrà spingerci ad acquistare il libro in fretta per poter dire la nostra ed eventualmente smentire quanto commentato da altri, contribuendo ad arricchire più possibile i commenti e dare sempre più spunti di confronto al pubblico online.